Trekking to the gorgeous landscape of Khumbu region offers with the culture and traditions important destination that focuses for the re-known festival of Khumbu valley – Mani Rimdu Festival. Mani Rimdu Festival is celebrated at the Tengboche Monastery with greater participation of local residents and outsiders too. This festival is celebrated from 12th Nov to 14th Nov (3 days Mani Rimdu Festival). The date of celebrating Mani Rimdu Festival is announced by the head lama of Tengboche Monastery. To get involved with this famous festival, the journey gets started with the flight from Kathmandu – Lukla (around 30 minutes). Mani Rimdu Festival takes place in Solukhumbu District of Nepal which is the land of Great Massifs. 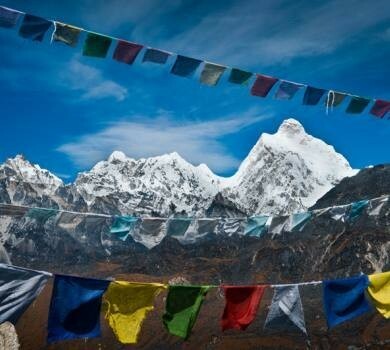 ….observe the famous festival within the Everest Region along with the great views of majestic mountains. Mani Rimdu Festival trekking route follows the same route of Everest Base Camp Trekking. As usually taking flight from Kathmandu reaches to Lukla, then the trekking with the perception of participating in Mani Rimdu Festival leads to the overnight stay at Phakding, the place offers with the wide range of beautiful view of mountains and also can observe the lifestyle of Sherpa’s and Tibetians. 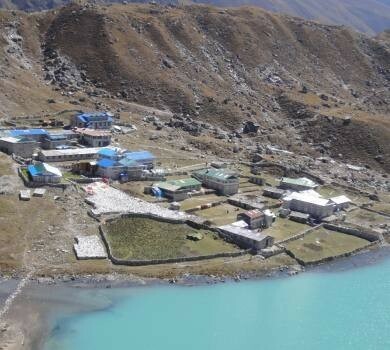 The next day will be heading to the arc-shaped village which is known as Namche Bazaar – Sherpa Market, contains trekking types of equipment, Sherpa and Tibetians culture and tradition with tasty foods, organic coffee bar, and accommodation. With the enormous beautify around Namche Bazaar a full day is managed for exploring this amazing place as in a sense of acclimatization. 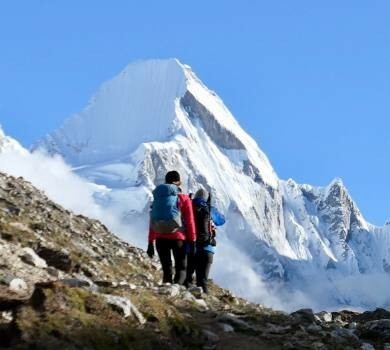 With the excitement and interest in watching and knowing about the Mani Rimdu Festival, the trekking trail leads to Tengboche where one of the oldest monasteries of Nepal is located, Tengboche Monastery, where it is also possible to learn about Sherpa’s lifestyle and can have panoramic views of majestic mountains including Mt. Everest. In the same place, the environment is lively as the local residents and outsiders get up to there for attaining Mani Rimdu Festival. The meaningful journey now offers with its importance as, on the first day (12th November) of Mani Rimdu Festival, the opening public ceremony – WONG is performed. There is a belief that (Holiness) Trulshig Rinpoche provides the empowerment for long life, happiness, and prosperity. Along with this, sacred pills (MANI RILWU) and pills for long life (TSHEREEL) are provided to everyone presented in this auspicious occasion. The second day (13th November) – CHAM will be more interesting as the cultural dance will be performed by the Lamas. This day makes the environment of Tengboche quite more luring. Third Day (14th November), The Fire Puja – JHINAAK will be performed by Lamas. This is the worship of the god with fire. The famous Mani Rimdu Festival is performed publicly in these ways. 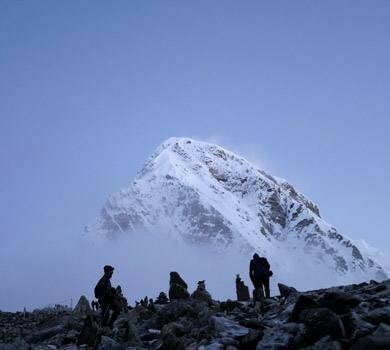 This trek is the complete package of excitement, cultural and thrilling moments which can be done in 13 days and also according to interest and time frame the trek can be customized. 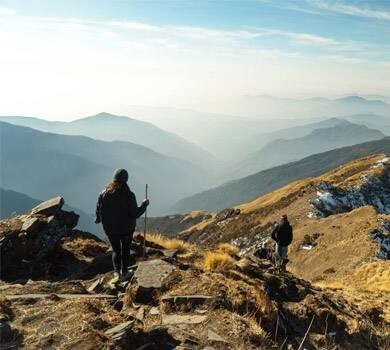 The team of Massif Holidays manages all the requirements for the trek in an effective way, so participating and making this opportunity in a delightful way will fill with the rewards and aspects. Majestic view of Himalayas from Tengboche (3860M):- Mt. Everest, Nuptse, Lotshe, Amadablam, Khumbila, Thamserku. 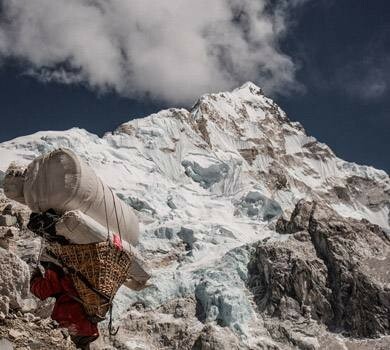 Exploration of Sherpa’s communities in Khumbu region. Watching the most popular religious-cultural Mani Rimdu Festival. 12 Breakfast, 09 Lunch and 10 Dinner. 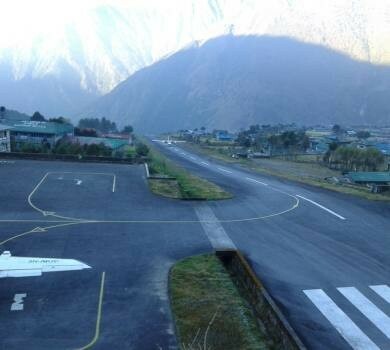 Day 03: Fly to Tenzing and Hillary Airport in Lukla (2840 meters) and trek to Phakding (2610 meters). About 3 hours. Overnight stay at Guest House. Day 04: Trek to Namche Bazaar (3440 meters) about 5 hours. Overnight stay at Guest House. Day 05: Acclimatization day in Namche Bazaar. Overnight stay at Guest House. Day 06: Trek to Tengboche Monastery (3860 meters) about 5 hours. Overnight stay at Guest House. Day 07: Observing Mani Rimdu Festival. Overnight stay at Guest House. Day 08: Observing Mani Rimdu Festival. Overnight stay at Guest House. Day 09: Observing Mani Rimdu Festival. Overnight stay at Guest House. Day 10: Trek back to Monjo (2835 meters). About 6 hours. Overnight stay at Guest House. Day 11: Trek back to Lukla (2840 meters) About 6 hours. Overnight stay at Guest House. Day 12: Fly back to Kathmandu from Lukla. Overnight stay at Hotel. Day 13: Transfer to the international airport for your onward destination. Airport/ Hotel pickup & drop by private tourist vehicle. Basic tea house accommodation during Everest Base Camp Trek. Professional license holder English speaking Trekking Guide (if required with other nation’s dialect for Mani Rimdu Festival Trek). Airfare from Kathmandu – Lukla - Kathmandu including fare of private transport (in Kathmandu). Extra additional Breakfast, Lunch and Dinner throughout the trekking package. Group joining trek or personal group trek. Extra day hike during the trek. Expand or different itinerary of trekking packages. The listed optional facilities for the trekking within Nepal are not included in the trekking cost. As per guest choice and demand for extra facilities or services some amount will be added to the trekking package cost. You can include the other extra facilities and services in your travel package consulting with the crew member of Massif Holidays. The tailor made itinerary of the respective trekking package is organized by the expertise of Massif Holidays with fixed departure dates in 2019. The cost which is mentioned for the fixed departure dates is guaranteed but as per group travelers and joining trip the cost can be varied. Experience and witness the Himalayan beauty of Nepal in your next travel bucket list. Natural calamities, that are beyond the control can hamper one’s planned trip. During these kinds of issues, the team of Massif Holidays will be getting through the possible solution that can help to get back in trip. Due to poor visibility, bad weather or any technical problems twin otters may get delayed for some hours or for some days (also can be happened in a good season). During this period, teams of Massif Holidays help to manage other various daily activities, pre-itinerary with any trekking routes, etc. One needs to bear all expenses if need to stay at Lukla because of cancelation of the flights at the end of the trip. Note: No any refund in such cases and the team of Massif Holidays provide with the proper guidelines.